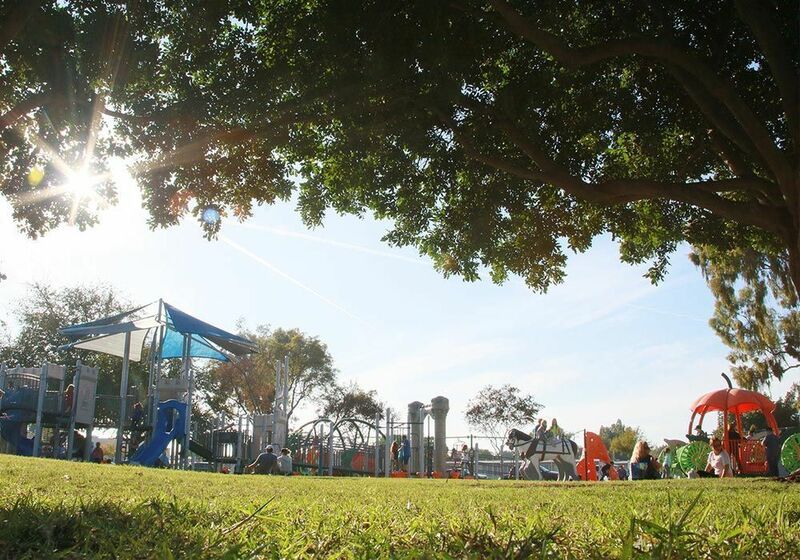 San Martin Park is affectionately known in Lakewood as “Pumpkin Park.” The playground had contained two pumpkin carriages which for 50 years were a beloved play destination by the community, but safety issues required their removal in the spring of 2014. 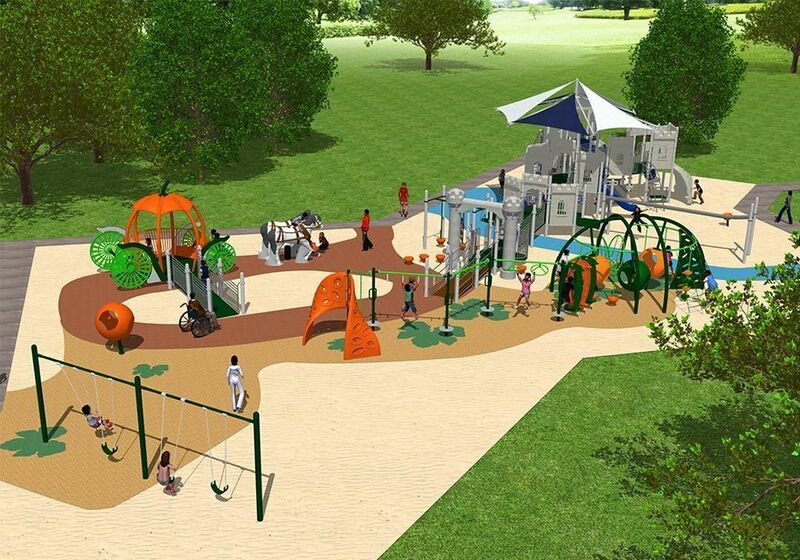 A request for design was sent by Lakewood to several major manufacturers to submit ideas for the playground renovation. Cindy Grabow, a Little Tikes Commercial representative from Pacific Park and Playground, conceptualized the initial design and worked closely with the custom and engineering departments from Little Tikes Commercial to come up with the final design that so perfectly captured the heart and soul of what the Pumpkin Park is all about! 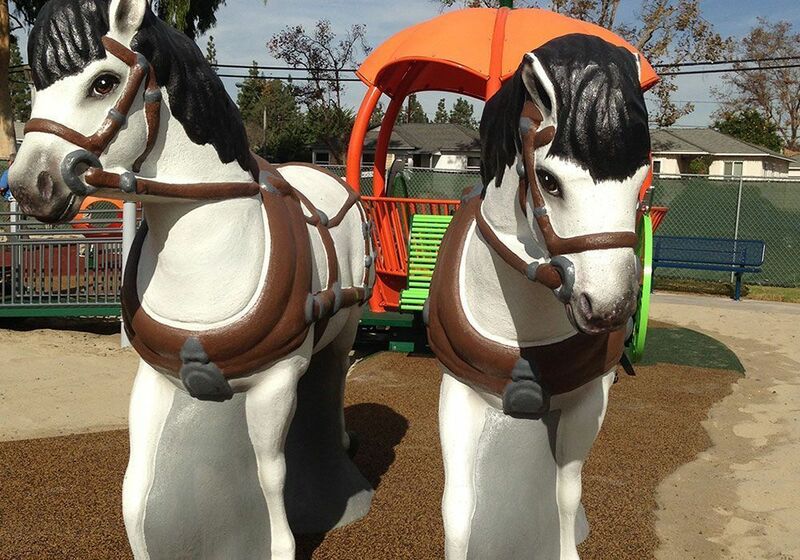 Pumpkin Park has become the most favorite park in the city and is a destination for not only the community of Lakewood but for other cities as well. The highlight of the park is the new pumpkin carriage, which is wheelchair accessible and drawn by two large horses. 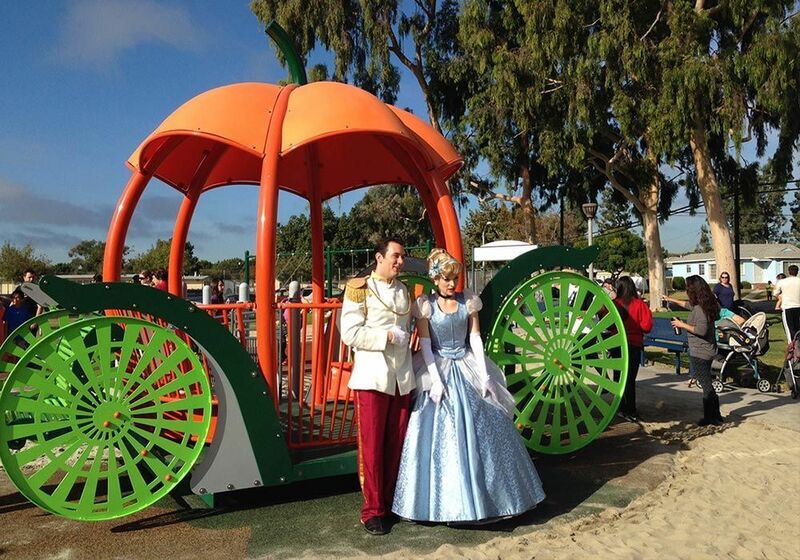 The pumpkin carriage is a dream come true as it gently sways back and forth in response to its users, allowing children to imagine riding the carriage to their enchanted castle. A large entry arch provides the opening to the castle, where children can continue to explore the castle or they may choose to take a track ride down to the pumpkin patch. Large orange static pods comprise the pumpkins in the “pumpkin patch” that children can climb into and around, pretending that one day these “pumpkins” will become carriages too! The castle design combines inclusive play on the lower decks and more challenging, active play on the back deck sections. At every turn and path there are climbers, slides, interactive panels and imaginative theme galore! As the kids explore the playground they will also find solo spinners, a fun rock to climb, a pumpkin wobble sphere to spin in and a swing set for swinging. Shade has been provided by a hexagonal shade sail in the center of the castle. 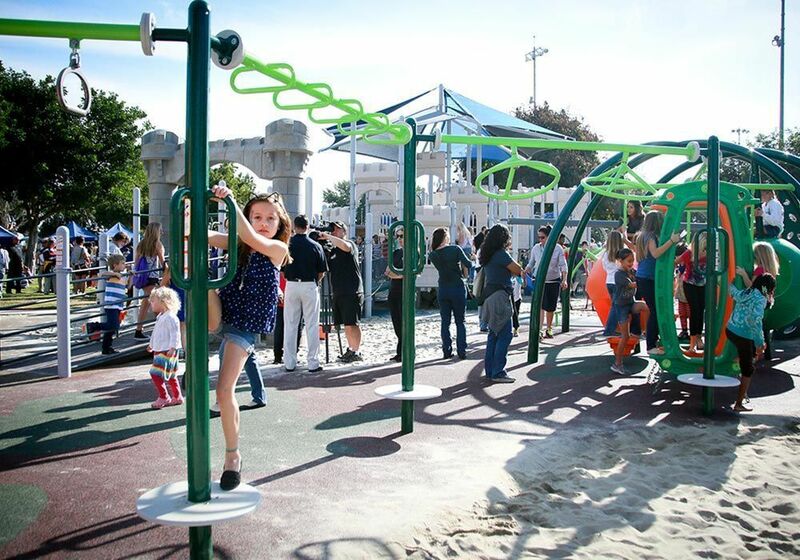 There are so many other elements to explore and discover in the design of this playground. 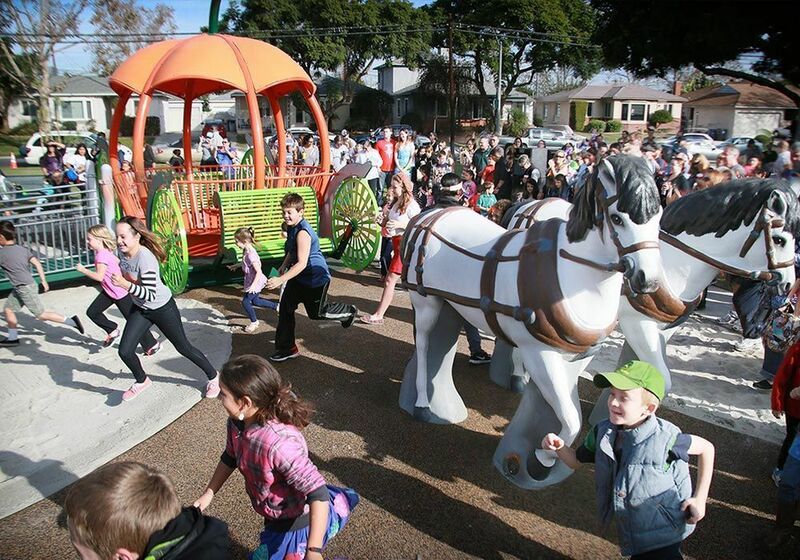 Pumpkin Park allows the imagination to soar, highlighting play value with themed elements that will be enjoyed for many generations of Lakewood residents.